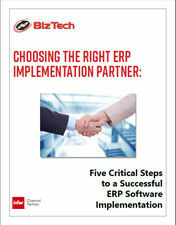 BizTech's ERP Implementation Methodology is focused on "partnering for success." As a client, you first must ensure that you to have a good understanding of your own business operations, processes and goals. We cannot understand your business unless you do. After you develop your master implementation plan and goals, then our implementation team must be familiarized with your processes, operations and goals so that we can help you tightly integrate the ERP software into those operations. As your implementation partner, BizTech's team understands that you have a business to run and daily operations to attend to. That's why, although we do expect a significant commitment from the client to actively participate in the process, we are there to guide you through every step of the implementation and do the "heavy lifting," so to speak. 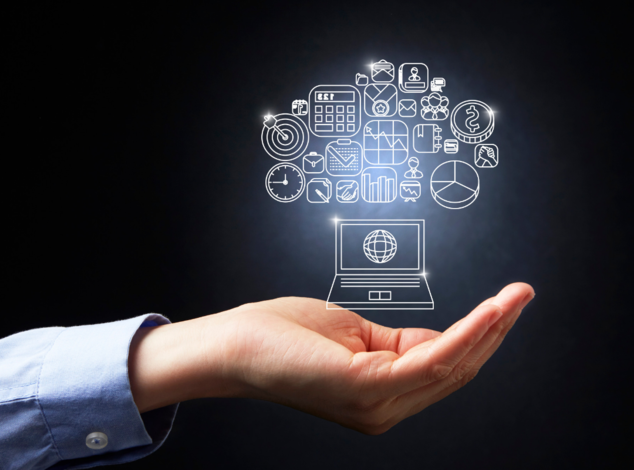 As with any large project, managing ERP implementation expectations is a very big deal. BizTech uses our vast experience, knowledge of your organization and industry best practices to set realistic ERP implementation expectations regarding estimated hours, costs and overall goals. Trying to cut corners during the implementation to get it done quicker. This only leads to more issues down the road. Making the choice to skip piloting or testing before going live. This goes hand-in-hand with cutting corners during the implementation. Thinking the new ERP process is going to identically match your current process. Change management is necessary before the implementation. Want to know the steps towards a successful ERP software implementation? ERP Implementations are different for every organization. 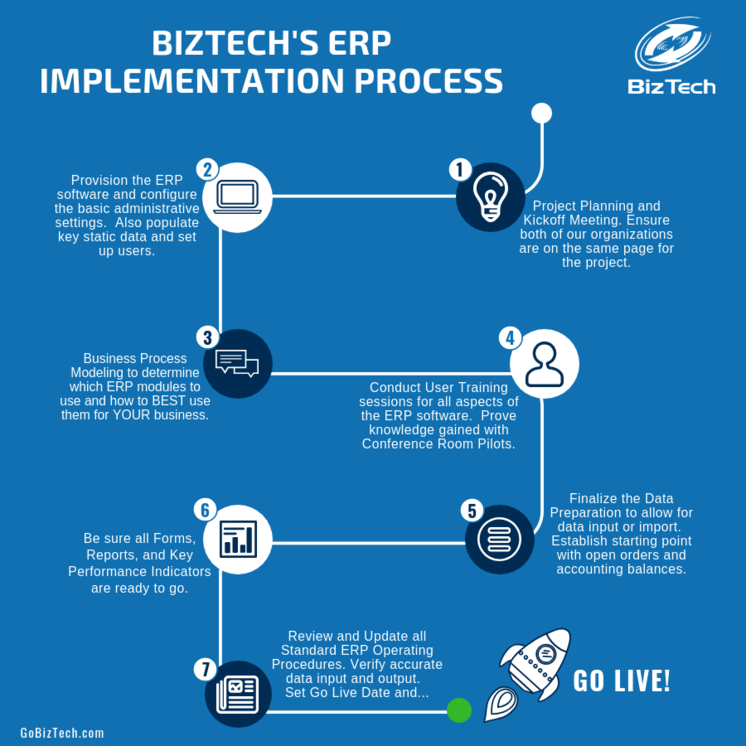 Explore why BizTech's ERP Implementation Methodology helps ensure your manufacturing ERP Implementation success. Top management must realize that ERP implementations are a process, and implementing a new ERP will not be an overnight fix. Organizations wishing to implement a new ERP must have a commited internal team to work through the process and be open to change. Get the software in front of more end-users earlier in the process so that they are at least a little familiar with how their data looks within the system.